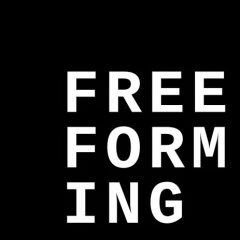 I’m very grateful to have had this wonderful experience of Freeforming again. The training is a great opportunity to become more physically and mentally present. It dissolves habitual ways of doing things and gives me new perspectives and flexibility in my work as an actress and aikido practitioner. It’s good to break the rules again! Listening to my own body, trusting it and following its movements was an enriching experience. Getting my head “out of the way” opened new fields of experience and lightness. This experience of letting go was so refreshing. Freeforming makes you really aware of your partner and the space you move in. I felt the benefit of this when I returned to my work and my aikido training. I also found it very helpful to work with Freeforming in my teaching. Aikido is complex. It can take a long time to become aware of the inner processes that aiki movements have on your body and spirit. I experienced Freeforming as a clever short cut that makes issues like contact, flexibility instantly physically accessable. I started using elements of Freeforming with great response in my aikido classes as well as in my movement training classes for actors. Freeforming is like a wordless international language of the body and emotions. People are suddenly moving gracefully in awareness together.It’s hard to believe it is emerging in the moment without any rehearsals! Thank you Peri for this great experience and thank you to all the wonderful people I’ve worked and leaned with in October 09 at the Konjiki Dojo. Hope we all meet soon again and expand our freeform experiences!